HE LIFTS US UP: REFLECTION or PROJECTION? What do you think? REFLECTION or PROJECTION? What do you think? is the Christ that is in me. that I was surprised to find! Or which do you care? So which do you rather? Which is more in your heart? is the first place to start. for the things that you do? Were the words I heard today. 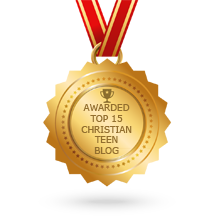 This entry was posted in A CLICK A BLESSING TODAY, CHRISTIAN TAGALOG BLOGS, CHRISTIAN TEENS BLOGS, HE LIFTS US UP, SHARING STRUGGLES , Shaping Spiritual Solutions! and tagged Biblical Advice, Christianity, faith, God, Holy Spirit, inspiration, Jesus Christ, life, reflections, Secret Angel Ministry, Truth. Bookmark the permalink. 2 Responses to HE LIFTS US UP: REFLECTION or PROJECTION? What do you think? Thine be the glory Lord, in all we do and say. May self not be projected and gloried we pray in Jesus Name. Amen.